2 comments | First published January 1, 2014 , last updated April 24, 2019 . Reading time: 3 minutes. 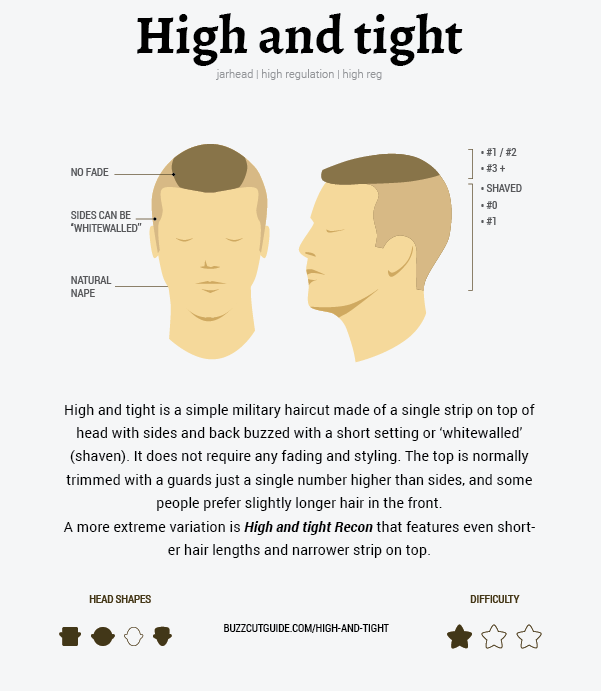 High and tight is a simple military haircut. 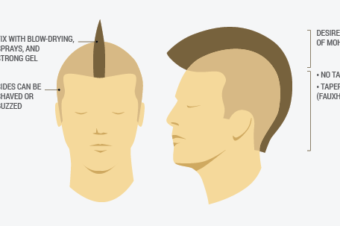 It consists of a single strip on top of head with sides and back buzzed short. It’s very easy to do since it does not require fading. You just need to be careful to centre the top strip well, kind of like you have to do with an undercut. Once you do this simple step, you sure are able to do a high and tight haircut and rock it with style! First things first: decide how narrow or wide your top side will be. Generally, you want to stop the short cut just when the clippers slide over the edge of your head. Or you might want to go with a narrower top. The narrower it is the more radical it looks. 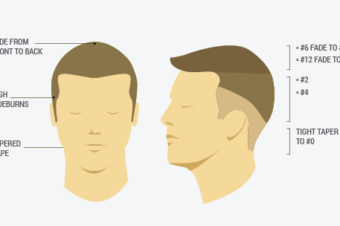 This narrower haircut, when combined with shorter size on the sides, is then called High and Tight Recon. It creates a more contrasted look between the top and the sides that the usual tight and high. Put guards #1 or #2 (or more – depending on which size you want on top) on your clippers and buzz your entire head carefully. This will ensure a smooth cutting experience. If you aren’t very experienced in doing this yourself, better start buzzing off with a higher number of guards first. Then you will have enough hair to cover any mistakes that happen along the way. If you are more experienced with cutting your own hair, you can try cutting the front part of the top with slightly longer guards and smooth it down to shorter hair towards the crown. This step isn’t necessary, although it will give your haircut a neater outlook. Change guards or blades to a lower size like #000 for sides and back (you can even shave/’whitewall’ it). Start cutting from bottom up, and work in circles around your head to make sure you got all the hair. Be careful when approaching the top strip and take your time to cut around it. Make sure you don’t fade it into the sides! 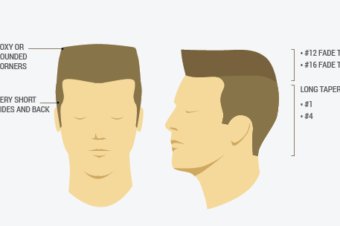 The main aspect of this haircut is that there is a clear distinction between the sides and the top. So, sides and back do not require any fading nor styling. Even though this haircut does not demand much styling and care, you can still use some wax to style the front hair. When you’re done cutting rub some wax and accentuate the top by bringing the hair together, thus making it look ”tight”. Styling your hair will help it look better in between trims. Since contrast is so important here, do expect to trim it every 3 weeks, if not before. High’n’tight is great for people who want to look a little more masculine. It is also perfect for people who want to give off the impression of toughness. Luckily it’s easy to touch up at home, as well. It may not be exactly an “executive haircut”, but it will make you look sharp on the battle field as well as on the stage! How specific details on how to do a recon haircut? Thanks. I’d also recommend using a webbing mil style adjustable belt to give you a clean line between the ‘whitewalls’ and the top.